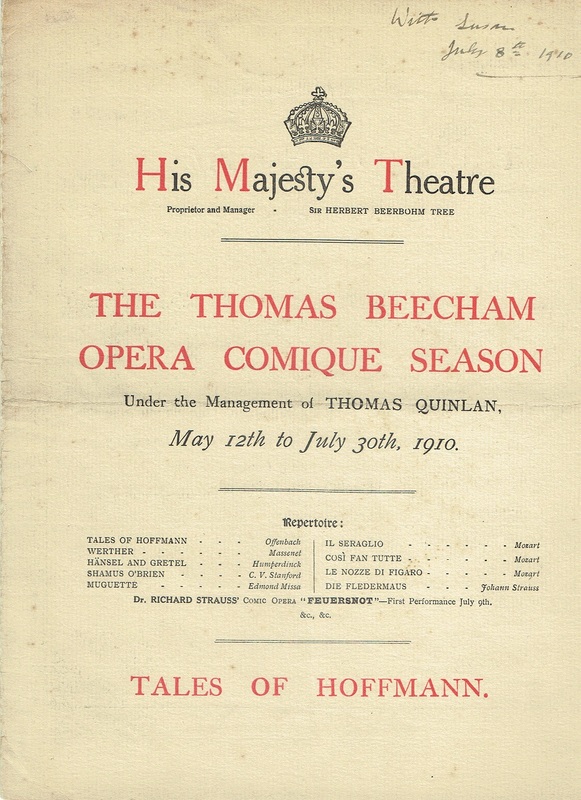 Beecham, Sir Thomas - programs & broadsides, etc. 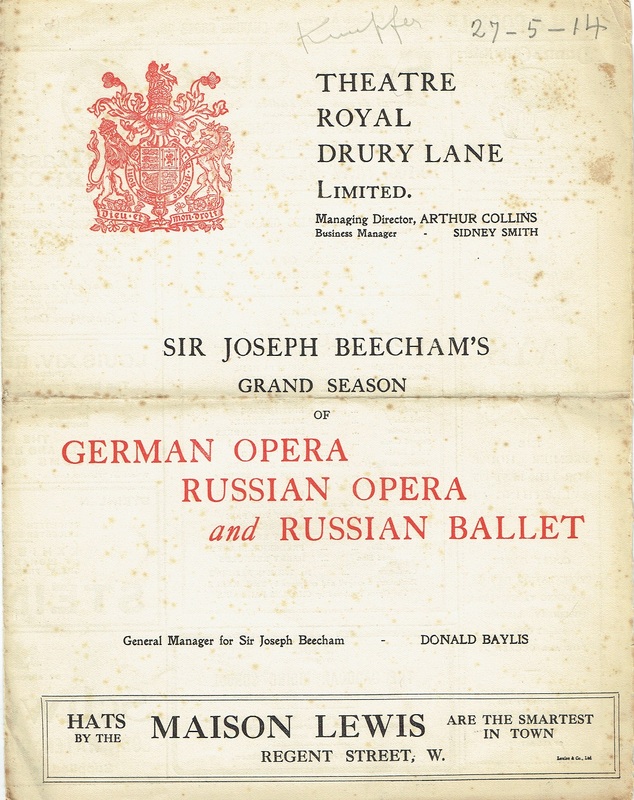 Home > Previous Auctions > Ephemera Test > Beecham, Sir Thomas - programs & broadsides, etc. “Every British musician has a Beecham story, a secondhand quip of a conductor who founded or rescued most of the nation’s orchestras and, when bankrupt, told the Official Receiver to be ‘truly thankful for what he was about to receive’. Sir Thomas was a font of wit and enterprise, a blaze of colour and bonhomie in a monochrome age. A hereditary baronet, he was a cavalier among roundheads who made the lives of session musicians more play than work. Few had a bad word to say about him, even when they went unpaid. Who else would have dared to dismiss Beethoven as ‘a musical Mr Gladstone’ and Elgar’s overlong first symphony as ‘the neo-Gothic equivalent of the towers of St Pancras Station’? Both his grandfather and his father had their wives committed to a mental asylum while they moved in with a mistress. Torn between warring parents, Tommy got married at 24 to a penniless American, Utica Wells, and, while she raised their two sons in a suburban house, took an official mistress, the shipping heiress Lady Cunard, while running a fluid succession of musical paramours. One of them, the Croydon soprano Dora Labette, bore him a third son. On tour in America and Australia, his girlfriend of the moment was forever being mistaken for Lady Beecham or Lady Cunard. Tommy did nothing to correct the misapprehension or protect the feelings of his partners. When the BBC refused to let him lead its symphony orchestra in 1930, he founded the London Philharmonic; later, in 1946, he established the Royal Philharmonic. When out of funds, he drained the Cunards.